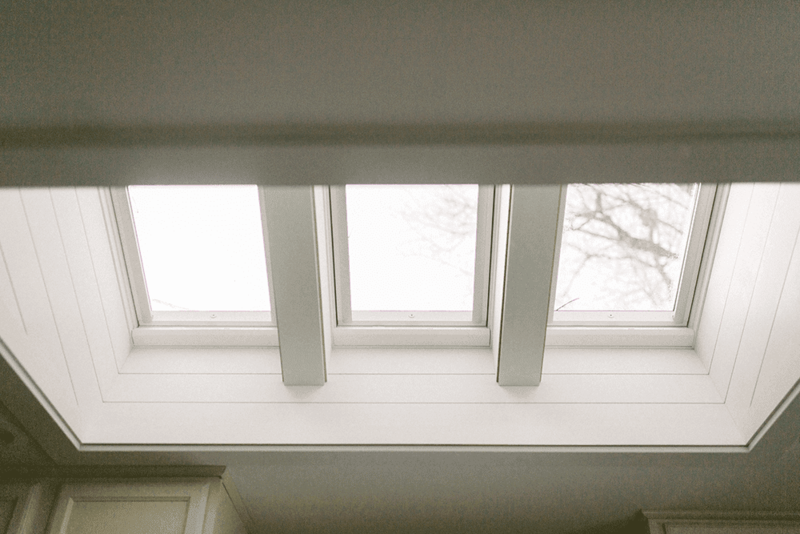 Let there be Light – Fit Foodie Kitchen VELUX Skylight Reveal! Let there be light! I am so excited to be partnering with our friends over at VELUX to bring light into the space we spend the most time in…the kitchen! Read on for all the details on our kitchen skylights and how VELUX can help you transform a space in your own home. When we were house-hunting back in March of 2018, we knew we wanted a large, bright kitchen and ideally, an open floor plan concept. After searching and searching in the Minneapolis area, we found a home that checked all boxes on our list other than…a big BRIGHT kitchen. Don’t get me wrong, our kitchen is sizable and great, but it’s located in the back of our house and shaded by massive trees. We moved forward with the purchase knowing that we had one stipulation and that was to somehow add natural light into our kitchen! I immediately started to research skylights because it seemed like the best option for us knowing we couldn’t remove any walls or trees. 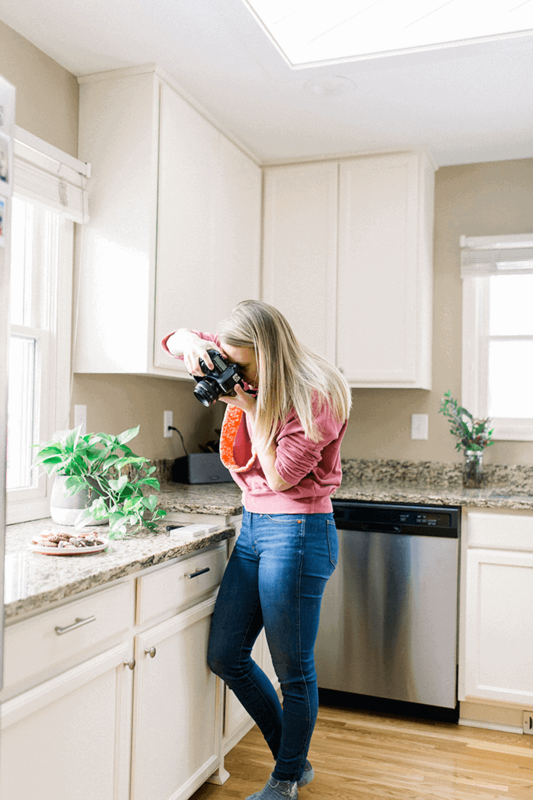 Having a bright kitchen is super important to me because it’s where I spend most of my time and we do a lot of the food photography for Fit Foodie Finds right in the convenience of my kitchen. I’m so glad I found VELUX skylights because they are absolutely perfect for my space. I was super unsure about skylights because there are lots of rumors about leaking and I just didn’t know how it would look in my space. Well, let me tell you, it’s been a few months and we’re absolutely IN LOVE. 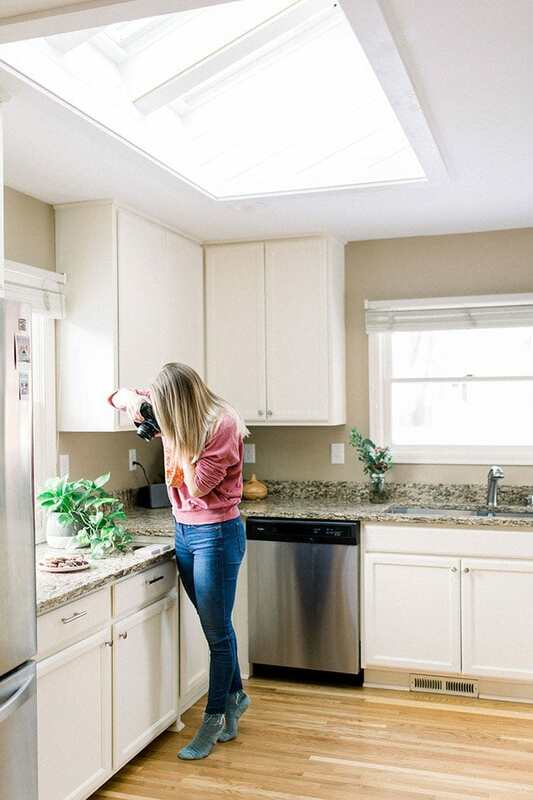 At first, the process of choosing and installing skylights for my space was super daunting, but we had such a great experience with the VELUX team. They came over for a consultation and helped me choose the best suitable products for my space. They also explained how the install would work and best part, it only took a few days! I was even able to work directly with the build team to design custom shiplap in the sides of my skylights to match the ship-lapping over my fireplace. These skylights are solar powered and do not require any wiring. Plus, even on cloudy days, the solar panels on the skylights are still charging. Because they’re solar powered, they are eligible for a 30% federal tax credit…HECK YES! So much natural light is let in because of my VELUX Skylights! And, because they are venting skylights, fresh air can be let in easily by opening them. And they have screens, so bugs won’t get let in. The skylights and blinds can be opened and closed using remote controllers or through the VELUX Active System app on your phone. At the first sign of rain, the skylights will close themselves. They have a rain sensor, but it’s like MAGIC. I didn’t have to do any of the installation. A VELUX skylight installer came to my home and completed all the work in just a few days, which was so great! If you’re interested, find a VELUX installer in your area here. One of my favorite features of my new skylights are the VELUX ACTIVE system that comes with it! The VELUX ACTIVE System is basically our own climate controller. 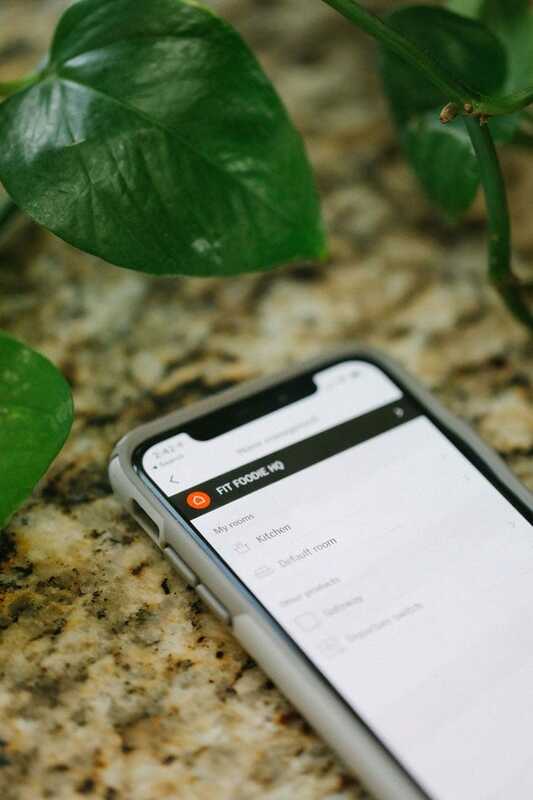 The sensors installed in my kitchen continuously monitor the temperature, humidity and CO2 levels in our house and use that information to decide when to open and close the skylights and blinds to make the air quality better inside our home. I like to call it magic :D And while the sensor-based ventilation is all done automatically, I also love that I’m in complete control of opening and closing the skylights and blinds right from my phone. AND, if I’ve ever forgotten to close my skylights and the rain sensor detects rain, they’ll close automatically. Peace of mind, my friends. I’ve always used only natural light for my food photography, and when Mark and I moved from our condo that had huge floor to ceiling windows, I knew it would be tough to get as good of a natural lighting situation for shooting in our house. We have one large south-facing window that lets a good amount of light in right where we shoot on my kitchen counter, but we were struggling to find a second natural light source to balance out the light coming in. Now that we have the skylights installed, I cannot even tell you how much it has enhanced the lighting for food photography. Especially since I can open and close the shades any amount to control the amount of light coming in. So, on super bright sunny days when we’re shooting midday, it’s so great to be able to diffuse the light with the blinds. It’s like our own personal photography studio. Huzzah! Did I mention that weather in Minnesota is literally unpredictable, not to mention the shortness of the days during winter! Our Velux Skylights have seriously been such a game changer in my business and furthermore, just brighten the mood, literally! I love waking up and making coffee in a bright kitchen. Before the skylights, the kitchen would only have sun during the evening when the sun was setting. I know lots of you have expressed interest in getting skylights installed in your own home and I totally think you should continue exploring it! If you live in an older home like I do, it’s likely that large windows weren’t a priority when it was being built. Skylights are such a great fix without having to knock down trees or do anything major! 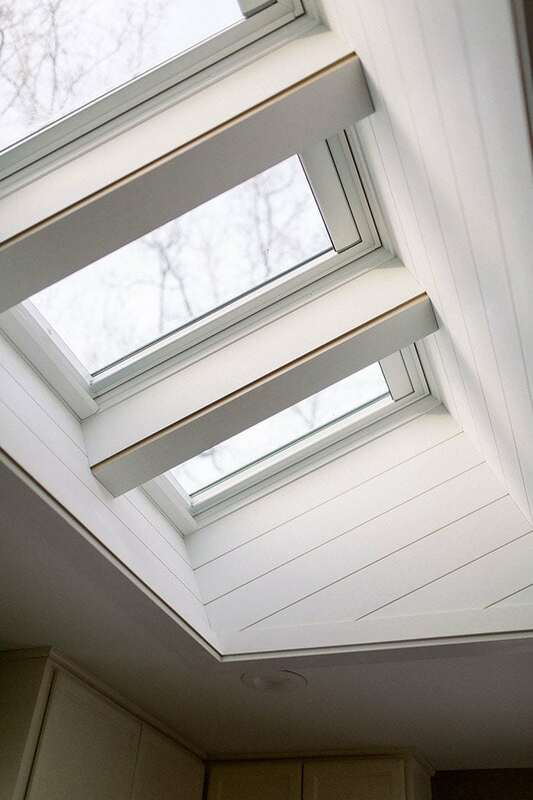 Feel free to ask me any skylight questions in the comments below and be on the lookout for more Velux Skylight action on FFF because we’ve got one more project coming up that will brighten your day. This post is sponsored by VELUX and all opinions are my own. Thank you for supporting Fit Foodie Finds!